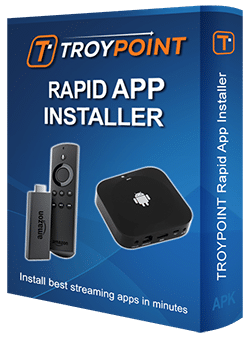 NOTE: TROYPOINT does not verify the reliability of any 3rd party app including this one. Due to the nature of these applications, they cannot always be trusted to work properly. 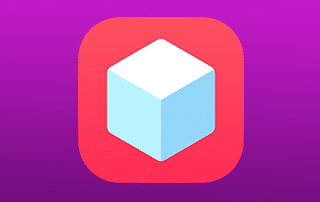 TweakBox is a mobile app installer that can be downloaded on an iPhone, iPad, or apple device. By installing TweakBox, users will have access to applications not available within a device’s respective App Store. Many of the apps TweakBox provides are original applications that have been tweaked or updated for user preference. Because TweakBox holds these applications within it’s software, installing the apps to your device is a breeze. TweakBox has been chosen as one of the Best Tweaked Apps Stores by TROYPOINT. TweakBox features games, emulators, cleanup tools, and more. In the past, a jailbreak was more than likely required to add certain apps to your device. But by using the instructions below, we will not jailbreak the device. Instead of using Cydia for installation of specific apps, you will simply install via your iPhone, iPad, or Android device. The following step by step guide will show you How To Install TweakBox on an iPhone XS. However, the same steps will work for installation on an iPad. You will now have different choices to install apps on your device. The paragraphs below will describe in detail the Categories and the options available within each. As stated above, many of the apps provided in TweakBox are not available within the Apple App Store or Google Play Store. There are 4 different categories to choose from. These include: Appstore Apps, TweakBox Apps, Tweaked Apps, and Hacked Games. Once these Settings have been changed, you will be able to use all installed applications freely and with ease. TweaBox has over 2,000 apps stored which are sorted into 4 Categories. These are: AppStore Apps, Tweakbox Apps, Tweaked Apps, and Hacked Games. The first option, titled “Appstore Apps” features apps that are available within your App Store but may have a price. By using this Category, you will not have to pay for the downloads but instead can enjoy them for free. Within the “TweakBox Apps” Category are tons of apps that you cannot find in other App Stores. These include emulators, streaming apps such as Kodi and Popcorn Time, & much more. Many of the apps within this category are tools to help clean up or boost your device. By installing some of these, you can have your iPhone or iPad running at full throttle. The “Tweaked Apps” Section hosts applications that you can find within AppStores, but have been tweaked or modified to improve a user’s experience. Items such as Snapchat, Facebook, Instagram and more are all available but with modifications for improvement. If you are big into gaming, the “Hacked Games” Category is perfect for you. It is full of games and versions of games that you cannot find within the Apple or Google App Store. However, to use this Section, you must have iOS 9 or less installed on your device. Any news on when it will start working again? Why Tweak Box is not working ? Is tweakbox still not working? Yes. Still not working. Check back later. It is listed Under Profile within General Settings of your device. Directions are shown above. It doesn’t let me download tweaked apps, is the app updated? Tweakbox is currently not working. I suggest trying again later. For mine, it’s doesn’t say Profiles and Device Management. It’s just says Profile. And there’s nothing that says “Enterprise App”. Help? It won’t even say tweak box wants to download this app it just does nothing ?????? Same for me, I’m using an iPhone 6s Plus, you? Some apps won’t download. The download will start and than it will say that it can not be downloaded at this time. What can I do? Check to make sure you have enough available space on your device.